Version in the colors of the Chur – Arosa rail line. RhB (Rhaetian Railroad) class ABe 8/12 3-part electric powered rail car train. 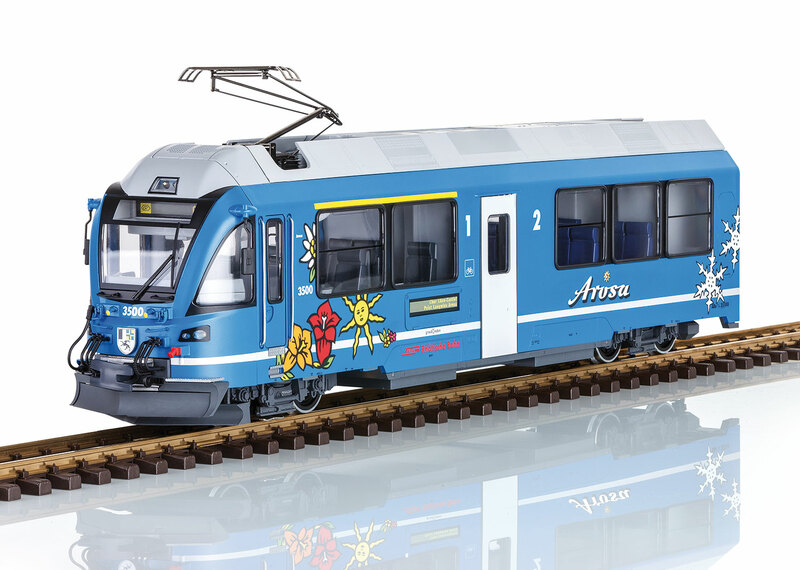 The model is in the version of the blue units on the Arosa Railroad. The model is fully equipped with two powerful Bühler motors, an mfx/DCC sound decoder with many light and sound functions as well as headlights with controllable long-distance lights, control panel lighting, engineer's cab interior lighting, and much more. 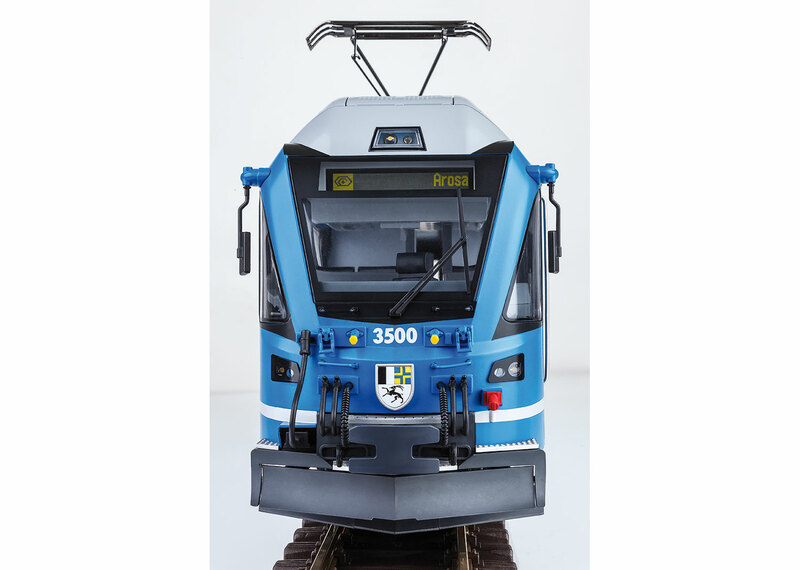 The pantographs can be raised and lowered by remote control on both end cars. All of the cars in the train have metal wheels and the center car has wheel sets with ball bearings. All of the doors can be opened. The model has many separately applied details such as conductors, plugs, windshield wipers, antennas, and rear view mirrors. The model has sprung buffers and complete rail clearance devices (the center part of the rail clearance devices can be replaced by a standard LGB coupler that is included with the train). Length over the buffers 206 cm / 81-1/8". A complete train for the Arosa Railroad can be assembled with the 37674 and 37675 passenger cars as well as the 37690 baggage car.